Built as a weekend home for Dr. Edith Farnsworth in 1951, the Farnsworth House is considered an icon of 20th century modern architecture. German architect Ludwig Mies van der Rohe’s minimalist design and large use of glass means the house blends in with its surroundings, allowing the inhabitants to connect with nature. Although it is a 2-hour drive from Chicago, a trip there to take a guided tour is well worth it: there’s nothing quite like standing in a living room and feeling like you are outside. Note: Although in perfect harmony with nature, the home is not immune to it. The nearby Fox River often floods and actually damaged the home in 1996. Last weekend a gust of wind blew out one of the glass panes a few minutes before our tour was to begin! I would therefore recommend always checking conditions before you make the trek out there. 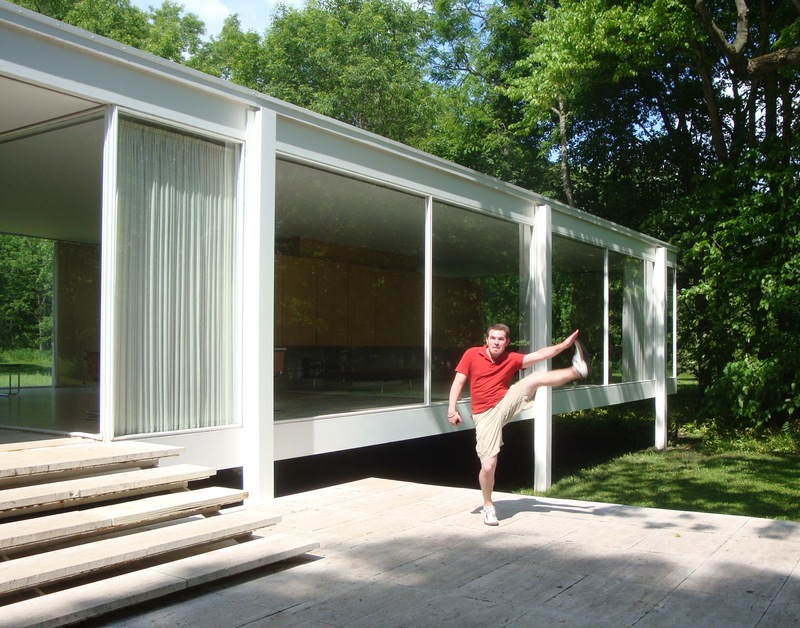 This entry was posted in High Kick Photos and tagged Farnsworth House, High Kick, Mies van der Rohe. Bookmark the permalink.